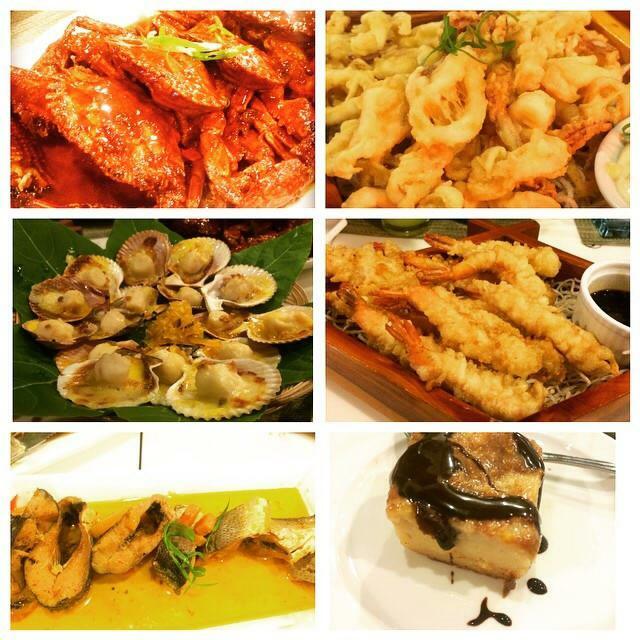 One of the must-visit seafood "oasis" during our Cebu Food Crawl is Cebu's premier seafood restaurant, Ocean Garden. And they didn't disappoint us! 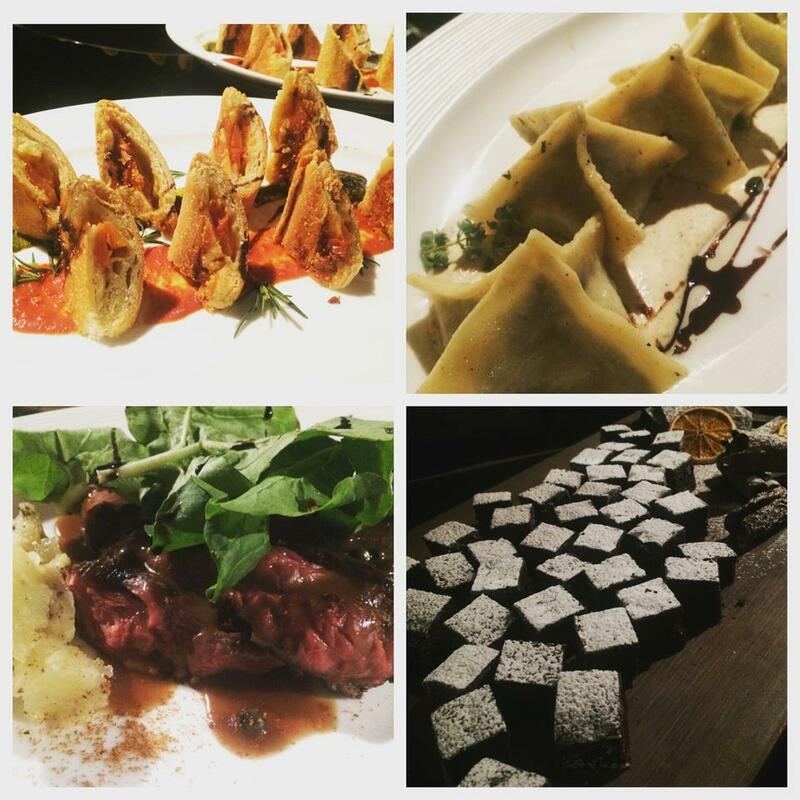 Our gastronomic dinner experience was as deep as the ocean, filled tummies! To say I'm overly content with my seafoods craving that night is an understatement. 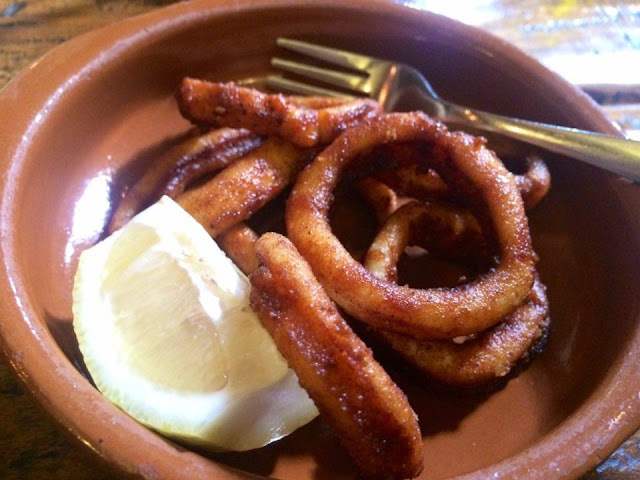 The restaurant gave us not just palatable and picture-perfect dishes but finger-licking cuisine of the sea! 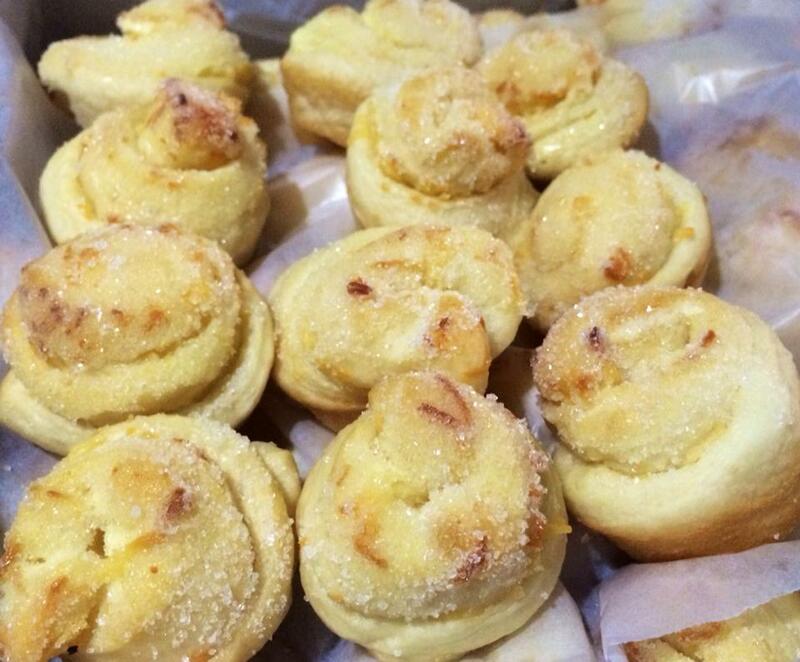 And of course, a humble take-home specialty treats (that's a secret). Over-all place: High class dining fit for a 4-star hotel in the city. BAE, read about Cebu Food Crawl (just click). 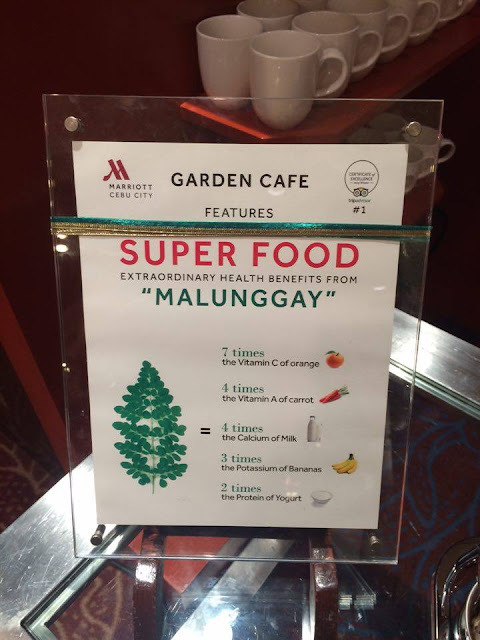 We had a very hearty lunch that day with Ipar's and Cebu City Marriott Hotel thru its Garden Cafe hosted an afternoon delight buffet for us dubbed as "Mango Mania" featuring various intricate fruity treats using mango as the main ingredient. What a good time to lavish on both green and sweet ripe mangoes from tarts, to salads, to macaroons, to shakes. A symphony of mango delights been prepared for us. 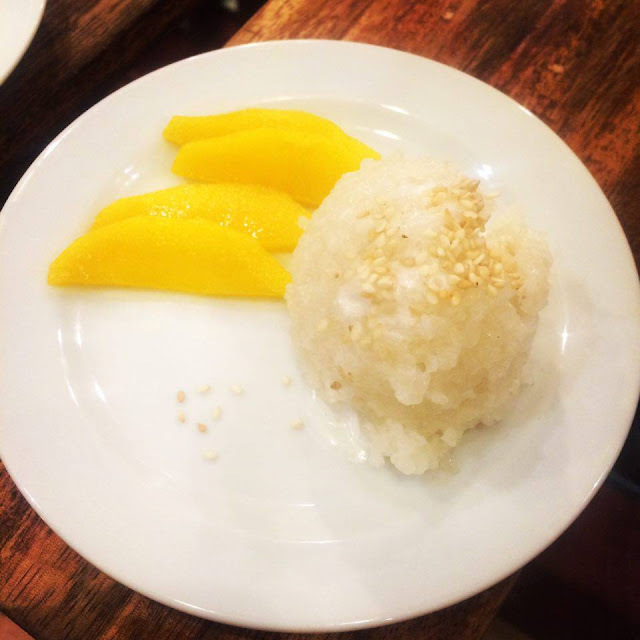 It's traditional Pinoy delicacy (puto maya) given with a posh touch with the sesame seeds. Of course, the always perfect pair is a sweet ripe mango to savor it! 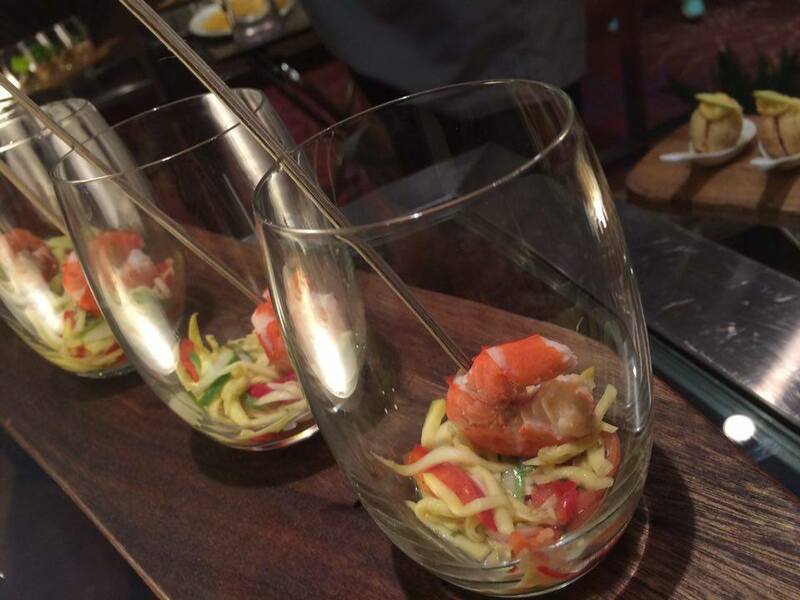 The piquant taste of the prawn clashed with the zesty lip-smacking flavors of the spicy green mangoes. You should try this! Definitely a burst of the opposites! The taste is just subtle to the palate. 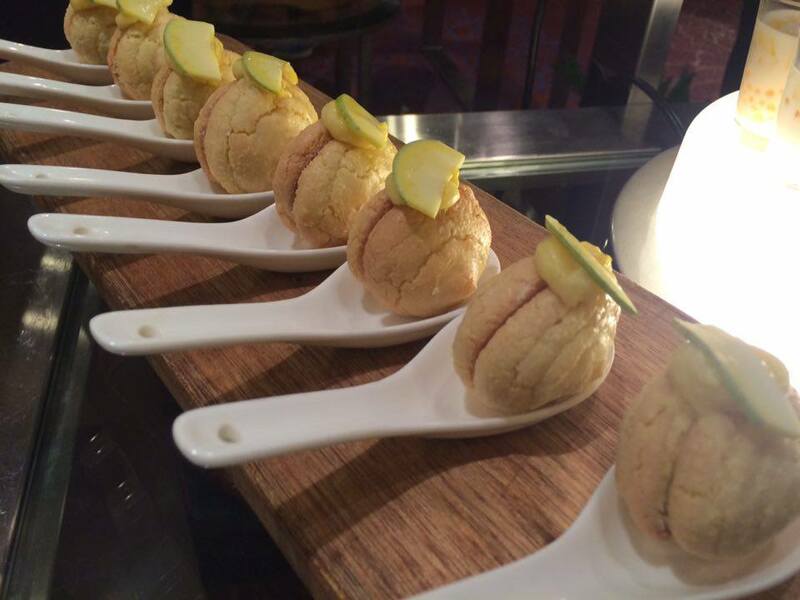 Will definitely take you to pick for a second or maybe a third munch of these macaroons. They had me on this! Bits of thin chicken cuts. 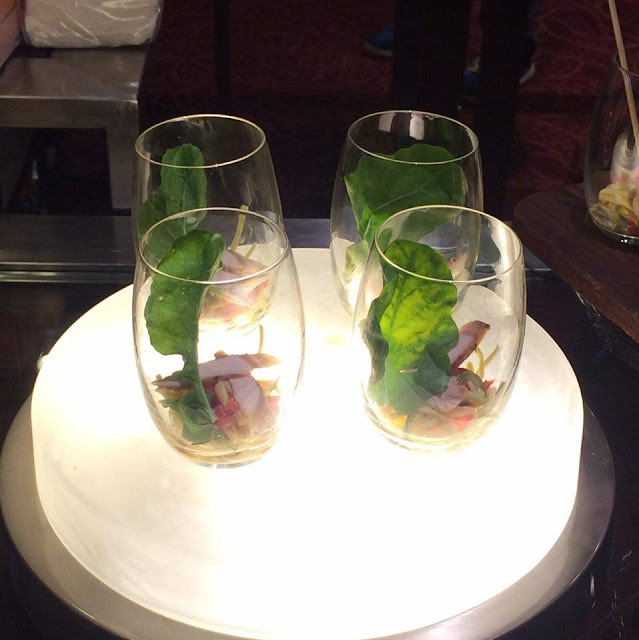 I thought of this as a salad in a glass with the spicy mangoes to play with my tastebuds. Who doesn't love tarts? 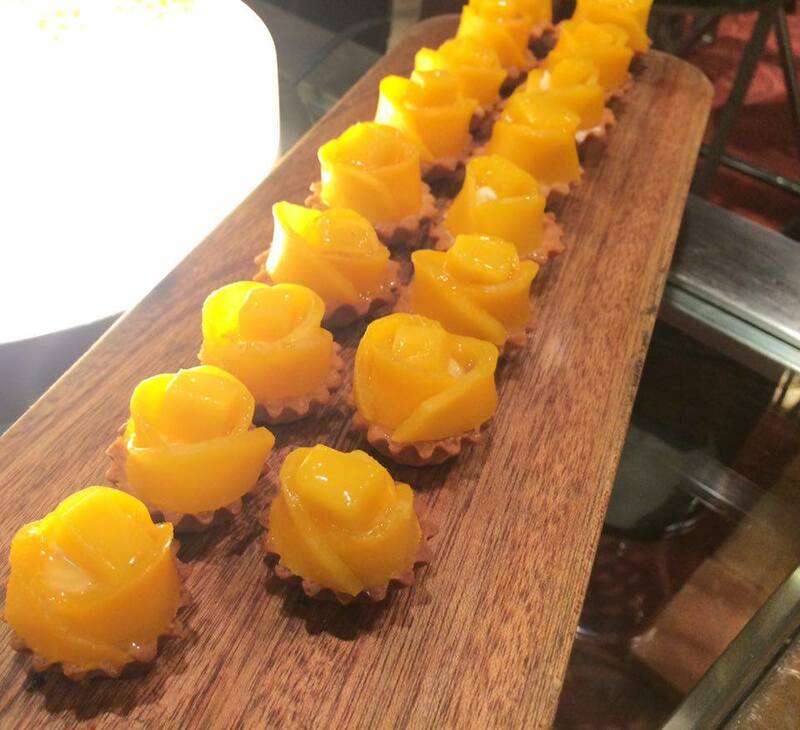 And these are mango tarts! The fresh mango topping is gelatinous. Well, nothing fancy when I had it. 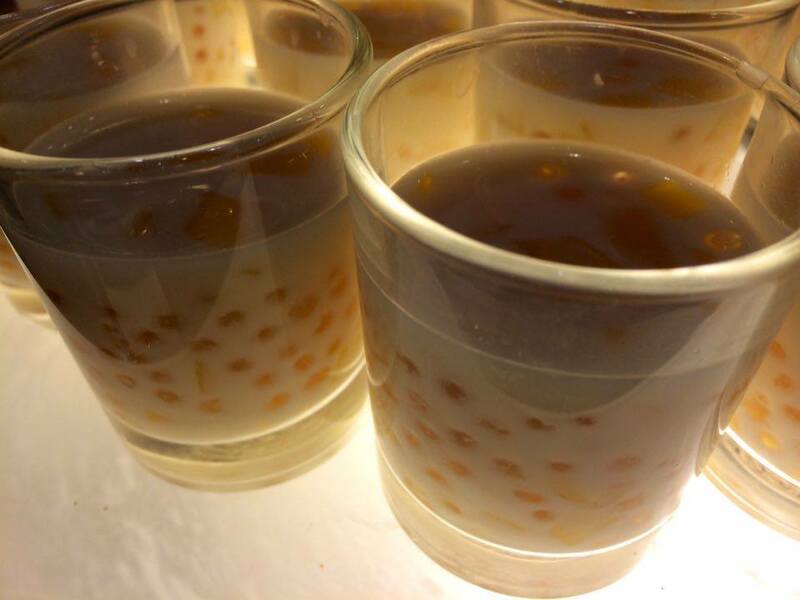 Just a normal mango sago. My least favorite. Didn't set my expectation though. 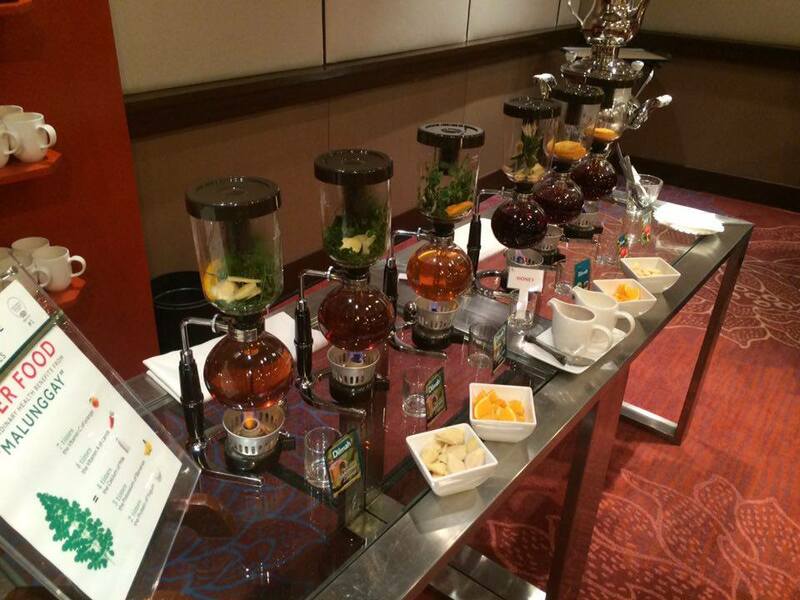 Would you like to try brewing your teas using the siphon method? They introduced this (method) and boy, I love it! And they have various options for you to try. I haven't tried this. Maybe next time when I visit Garden Cafe. There you go guys! I hope I brought you to salivate to the tune of Mango Tango! 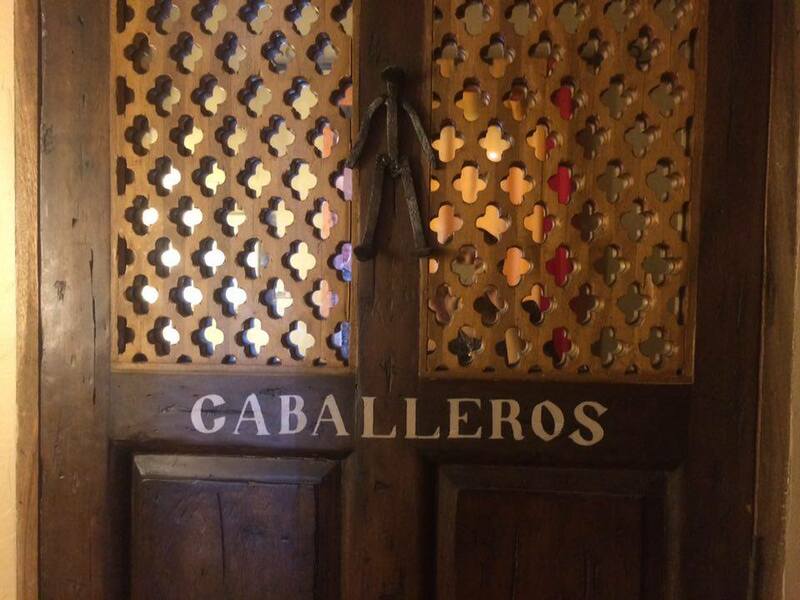 Over-all place: Definitely, the interior theme is very Spanish and could accommodate a no. of people. 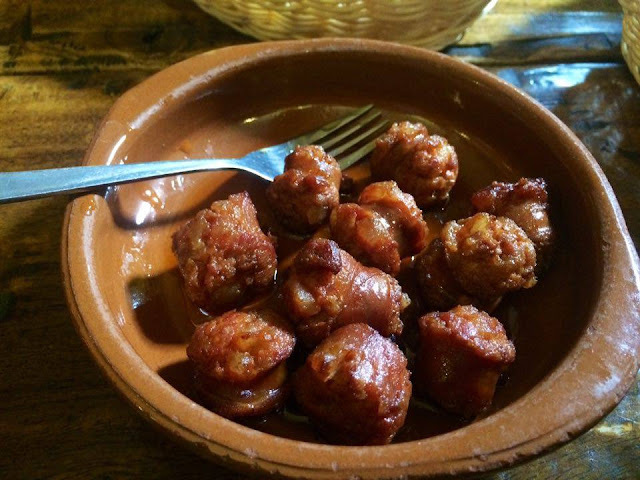 Ipar's Restaurante Y Bar De Tapas or simply IPAR's is a restaurant that introduces authentic Spanish Cuisine. It's the first stop of our Cebu Food Crawl activity with my fellow food bloggers. We were there during lunch time (a perfect gateway to fill our hungry tummies). In history, the Philippines has been under Spain for more than 300 years. It is obvious that our Filipino or Cebuano dishes have been influenced by the tasty Spanish approach and what more could you ask if we have a genuine Spanish restaurant in the city? Of course, the Paella De La Casa or Seafood Paella is the star! 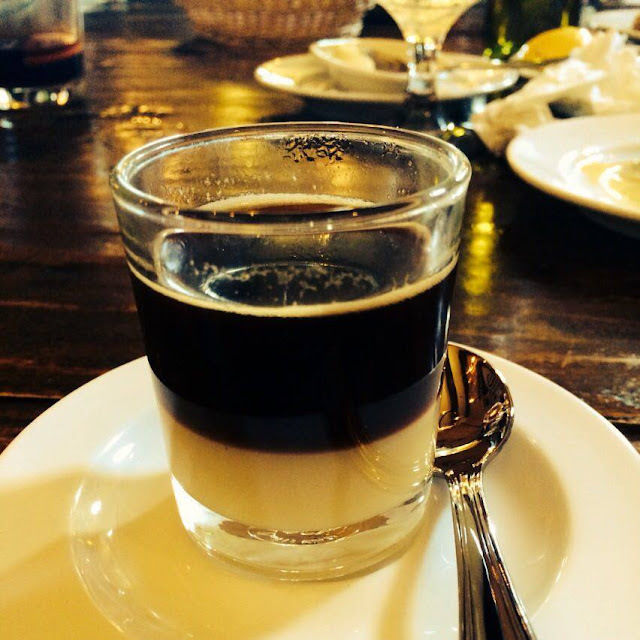 This is espresso afloat over condensed milk. You have to stir it to get a good mix of coffee and sweet milk. Perfect for an after-dessert flair. This is a mix of cola (Coke) and Red wine ... with a shove of lemon. 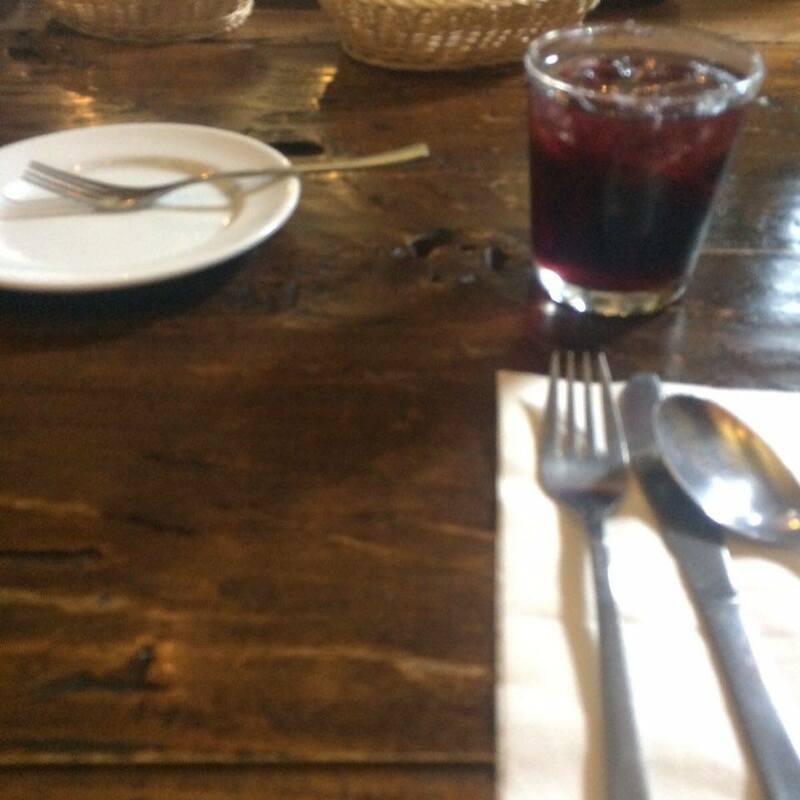 I would suggest to get this drink when ordering Seafood paella. A perfect pair for that dish. Served on the rocks! We are just doing our so-called, Blogger duties! :) Time to update our social media accounts! The "queen" sitting at their side-counter. 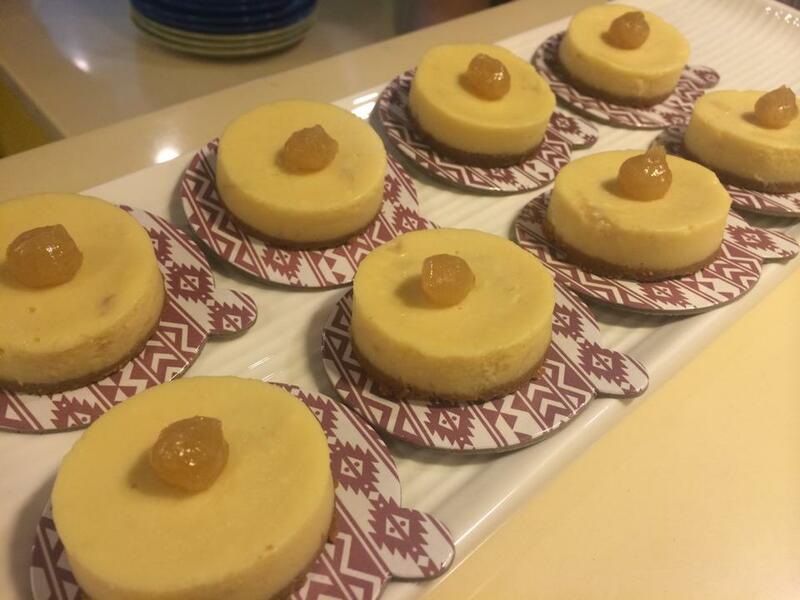 Cebu Food Crawl: The First Food Adventure in the Visayas! Foodelity Cebu: Cebu Food Crawl is coined from the popular "pub crawl" and this time, specifically about FOOD participated by foodies/food bloggers here in Cebu. 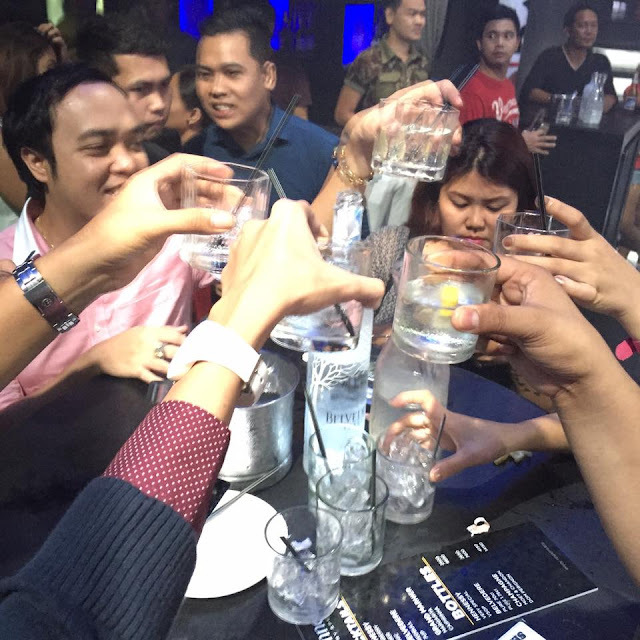 It is often referred to as a bar crawl or bar-hopping. Now, that's a bull's eye view about it. 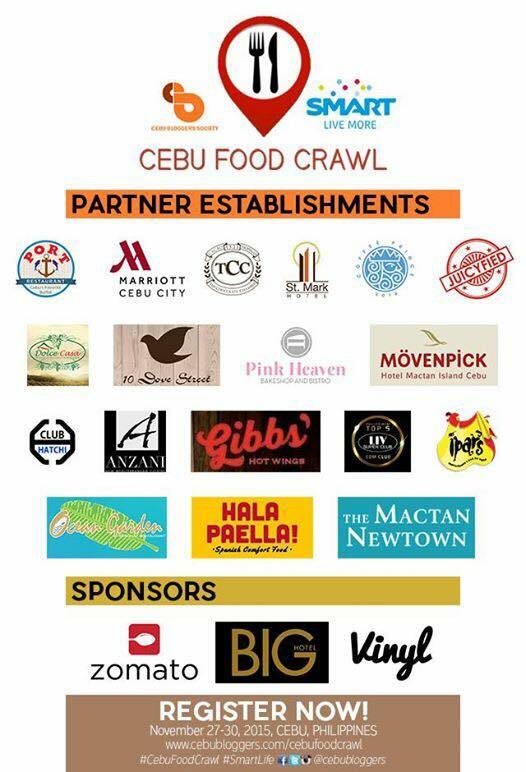 Definitely, participants of the Food Crawl will be checking out restaurants, bistros, dessert houses, cafes, party places, food venues, etc. to simply ... EAT, of course! As the first in Cebu or perhaps, in the Visayas (food crawl) region, it's participated by twenty-five food bloggers around the archipelago, Philippines. 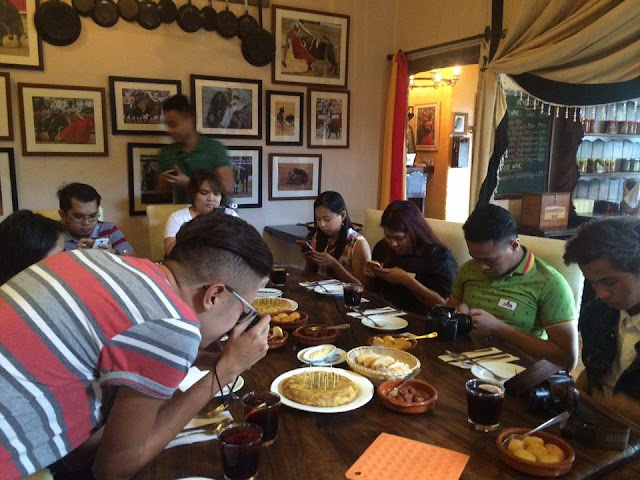 The first and premier blogging organization in the Visayas, Cebu Bloggers Society, Inc. pioneered the said food crawl. It officially began on November 27, 2015 until November 30, 2015. 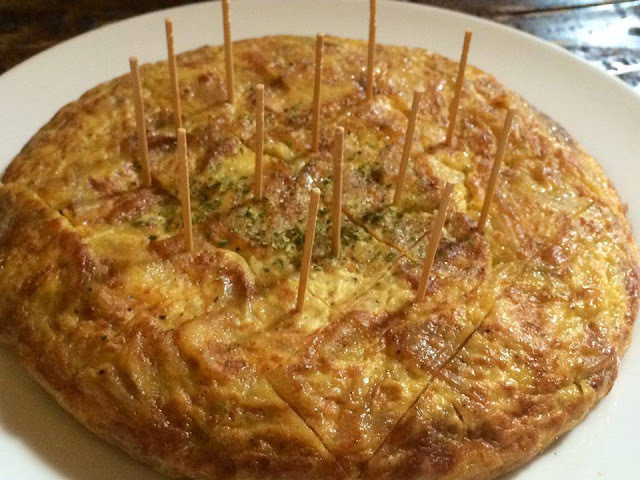 That's a 4-day unlimited food adventure within Cebu. I am lucky to have joined the first ever Cebu Food Crawl that turned out to be a success! 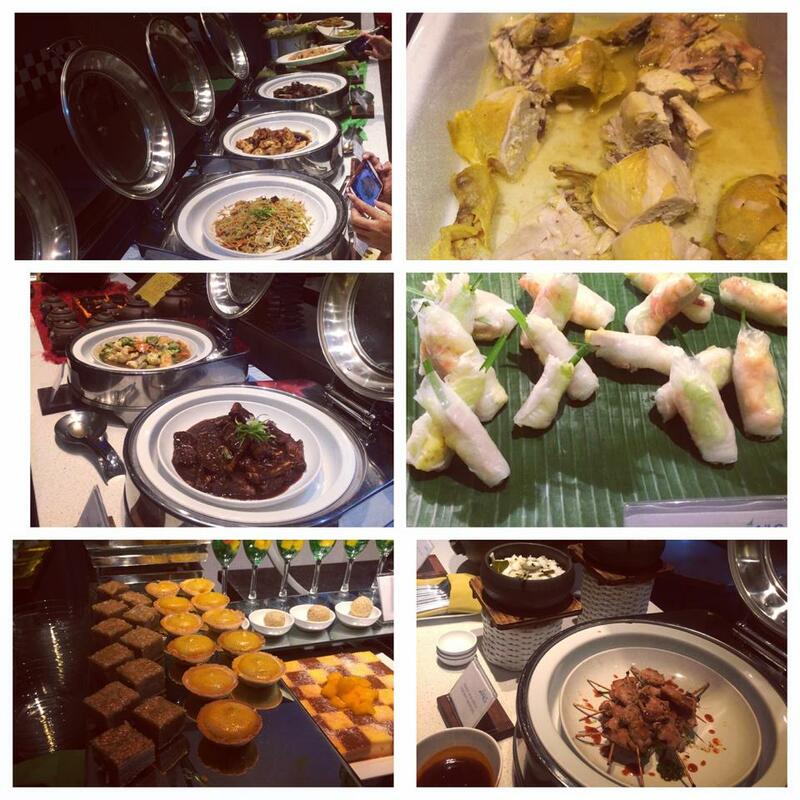 But beforehand, I have participated in a similar food affair in Davao too this year in May 2015 organized by our sister blogging organization, Davao Bloggers Society. I have written my experiences about my Davao Food Appreciation Tour 2015 (DFAT2015) here. I would like to say, THANK YOU to all Partner Establishments who were lavish accessories to our gastronomic journey all throughout. 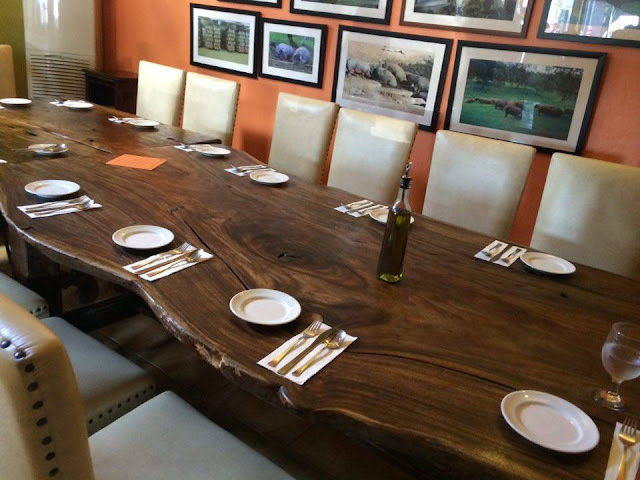 I've learned a lot about their passion for food and their contribution to each of their diners' satiable experience. 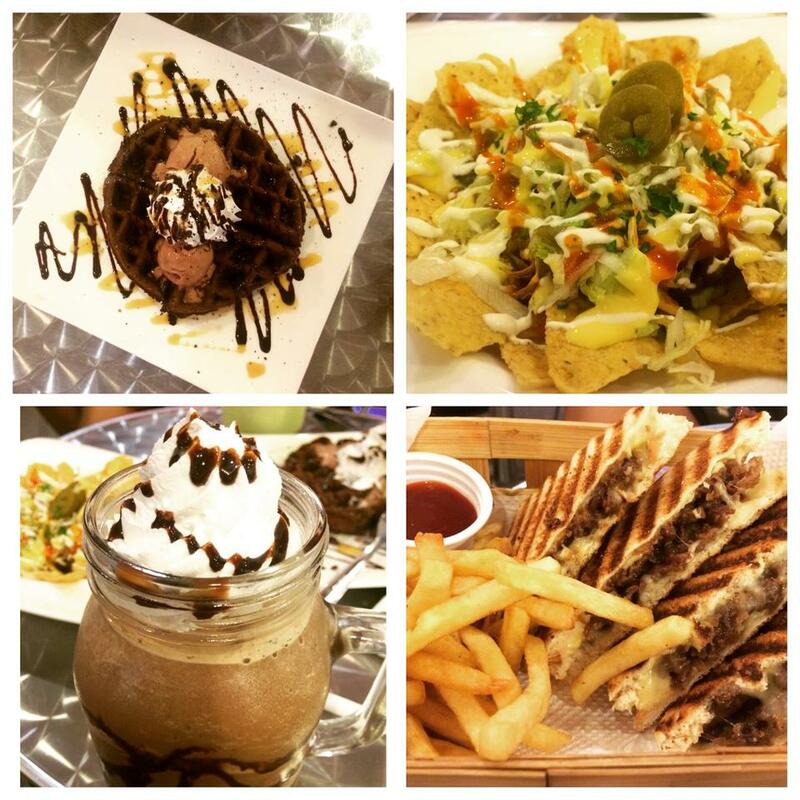 Kudos to these food havens in Cebu for making our tummies filled with delectable and delicious food! Watch out for my individual reviews on the different participating restaurants and cafes on this blog. 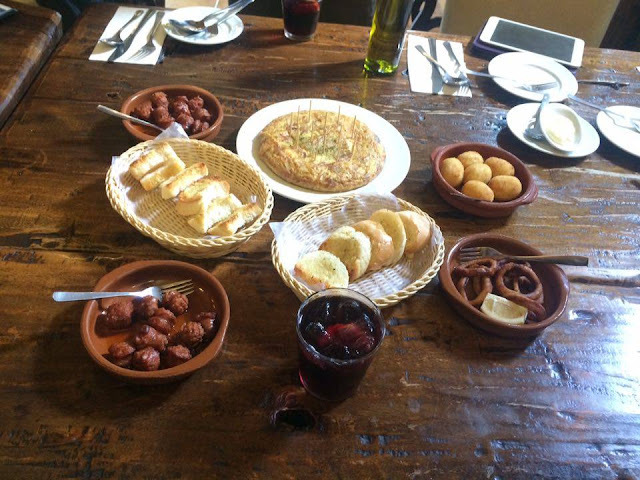 First stop is lunch at Ipar's, a restaurant that offers authentic Spanish cuisine. 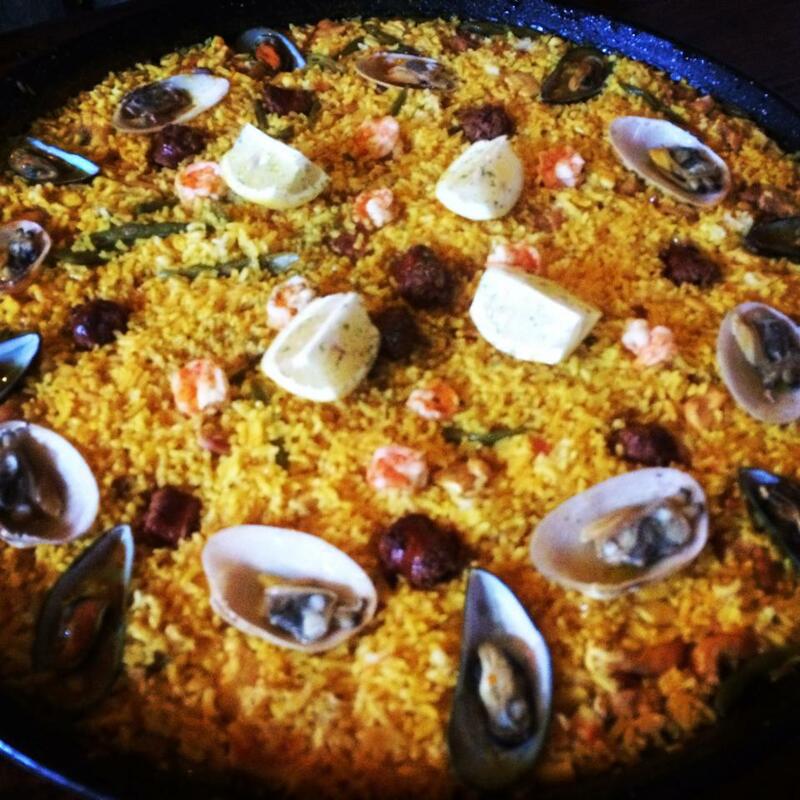 Did I say their Seafood Paella is superbly delicious? Salivate, sweet peas! Next, the group went to Cebu City Marriott Hotel to savor its Garden Cafe offerings dubbed as "Mango Mania". 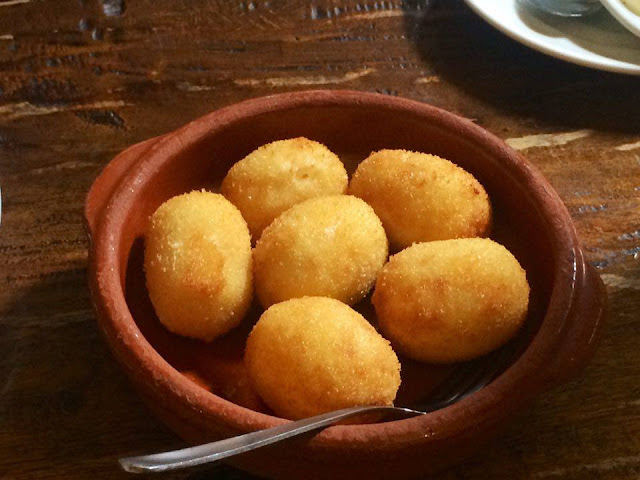 What a perfect dessert to take after a hearty Spanish almuerzo! At 7 pm, a palatable dinner in Ocean Garden was set where the food crawlers lavished on seafood specialties and family-secret recipes. 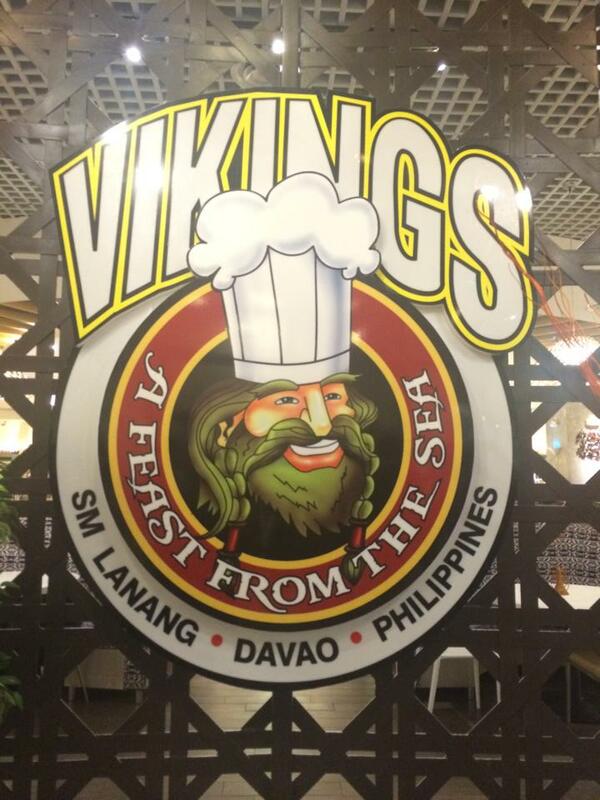 It's a must-visit place for a fresh seafoods fiesta trip! The Chili Crabs! Get ready to get dirty with your fingers! 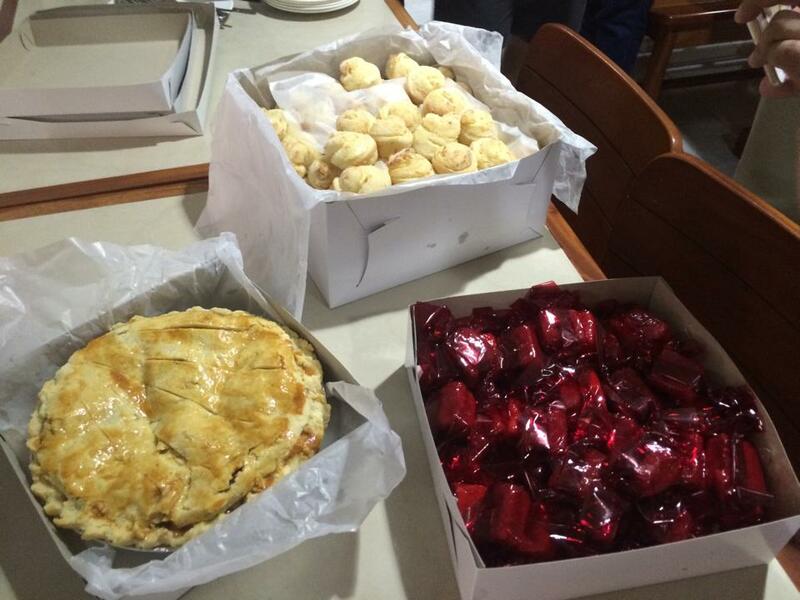 Of course, after a gastronomic seafoods meal, expect desserts for everyone! 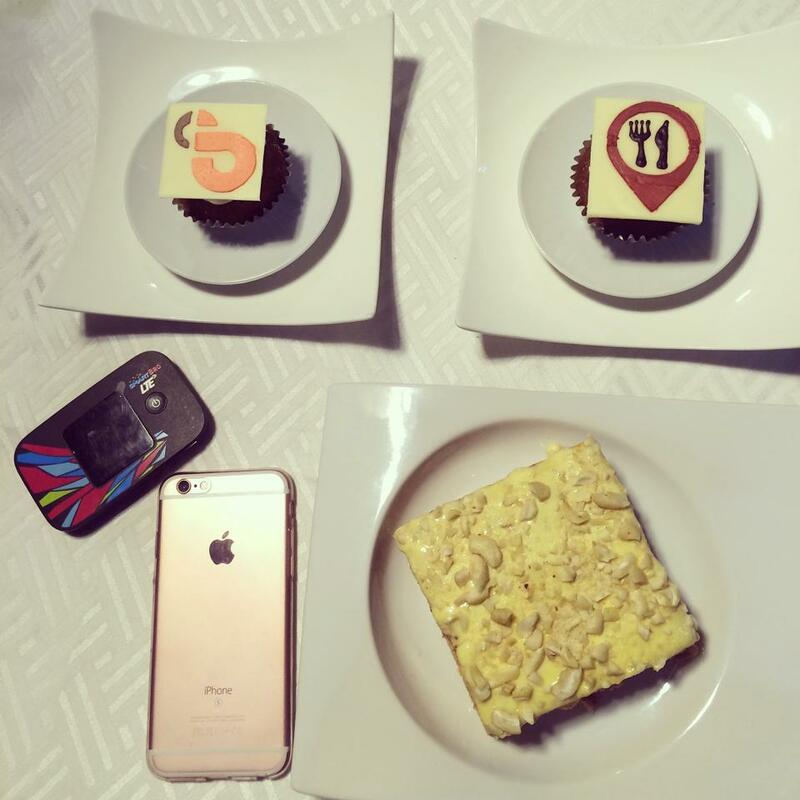 The Food Crawlers had their sweet tooth tested at 10 Dove Street Confectionary. Teas are perfect for these sweet delights! Trust me! I joined the afternoon leg of the tour and started it with Coffee Prince. One of the "Royal" cafes in the city with a Korean-inspired style interiors. 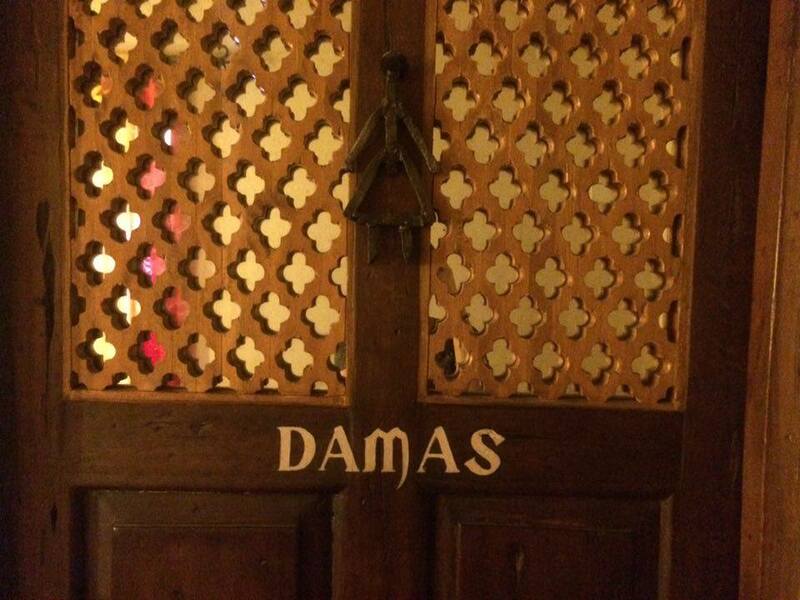 Quite chic and dainty when I had snacks here. I thought they offered some noble edibles for the queen, ME! With these royal treats, I should have eaten like a king! But, no, I just ate like a "queen". You know, royalties have a graceful way of eating. 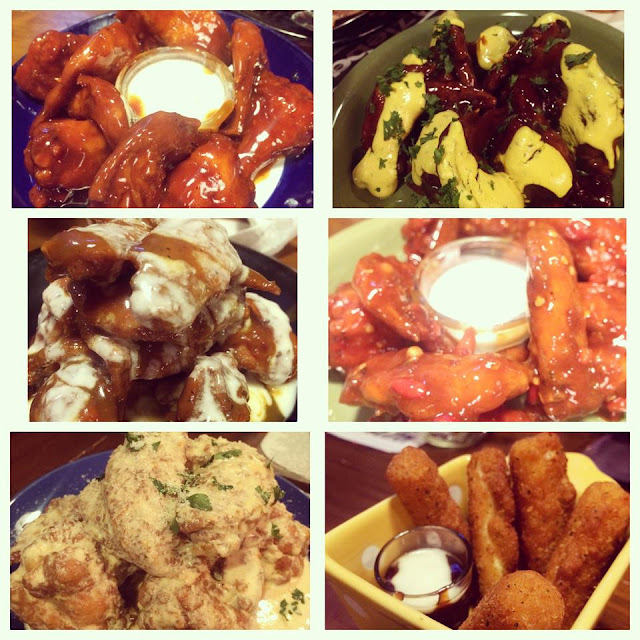 For dinner, we had it at Gibb's Hot Wings. Hot wings?! That's an understatement to say the least. 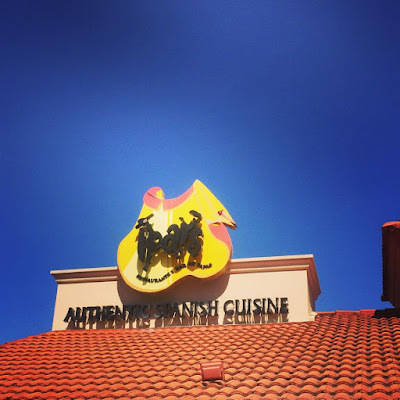 Literally, we tried almost everything on their menu including their specialty drinks and we went, "Oh, so HOT"! Cebu's first hot wings as they claimed. Keep it burning! A perfect way to cap the night off is to party! There is no other place to shake our booties and get "drunk in love" in the city other than LIV Super Club! We found this tour segment a fat-burning activity! The time we said "kampai" to our fellow food crawlers! Since I was quite drunk and went home so early (in the morning) after partying at LIV. Simply, I missed the AM leg of the tour and managed to join the group around late afternoon. I had to catch up a lot of sleep for more energy. But then alcohol is such a teaser that day! It's still in my system but interestingly went to wine tasting at Dolce Casa in Parkmall for some Authentic Italian wines. 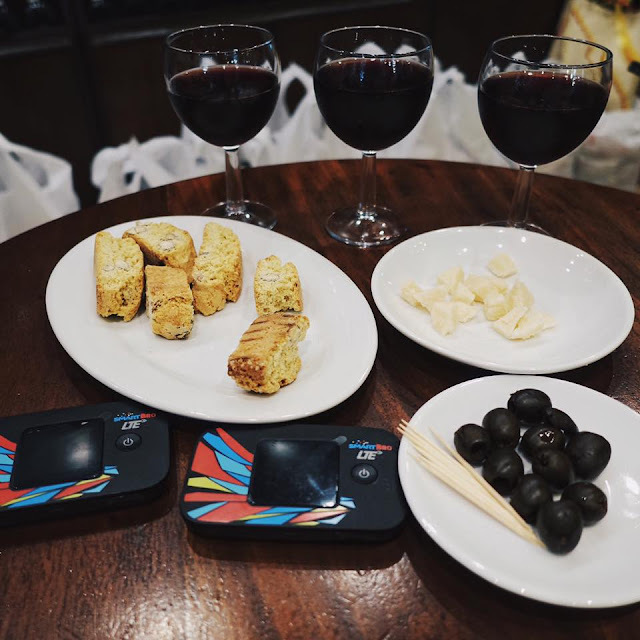 Uggh, all I can say is SALUTE´ when wine is paired with cheese and black olives. 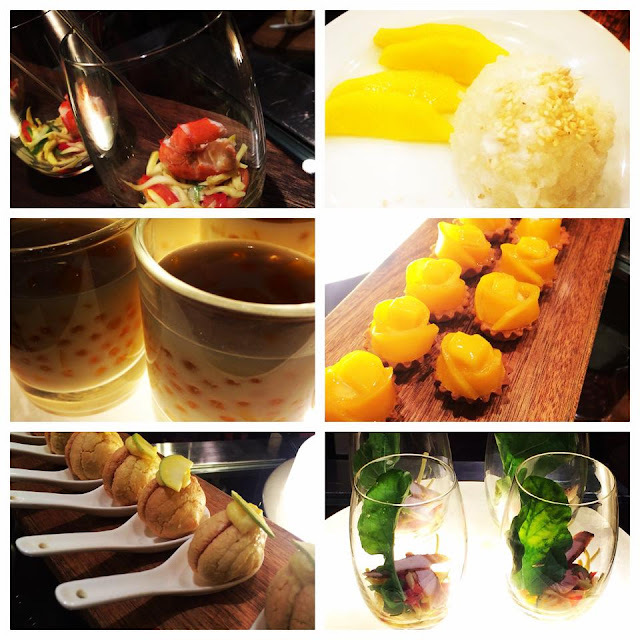 We certainly had a taste of Asia when dinner at The SAILS in Movenpick Hotel Mactan Island Cebu brought us to experience their Asian-themed buffet! Expectedly, we finished it with a glass of wine (again)! SAIL away with these Asian cuisine selections. 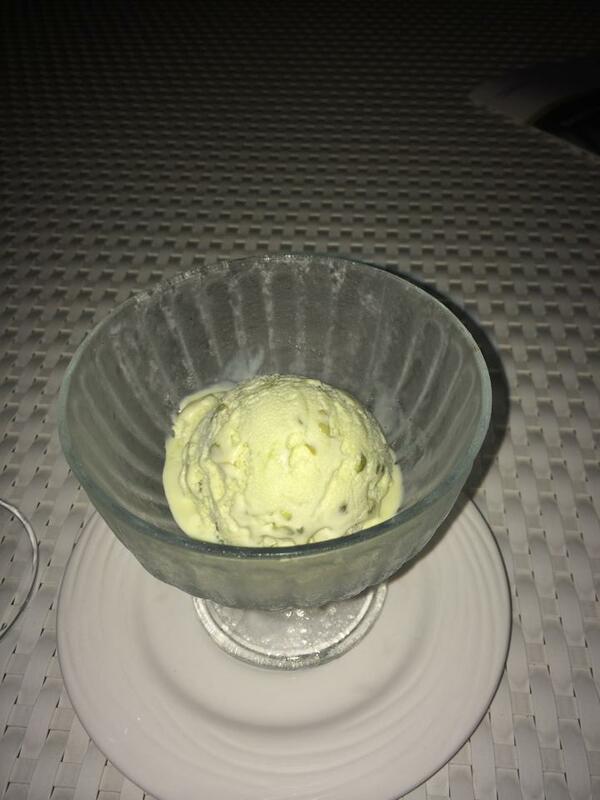 The group then had a special seat at Ibiza Beach Club to cap the night off to the tune of Latin entertainment while trying out Movenpick's internationally acclaimed ice cream! This is the dominant Pistachio flavored ice cream that made love to my palate. The group went out-of-the-way on the last day of the tour for an island hopping late morning. Simply, just to check some of the 7, 107 islands the Archipelago has to offer. 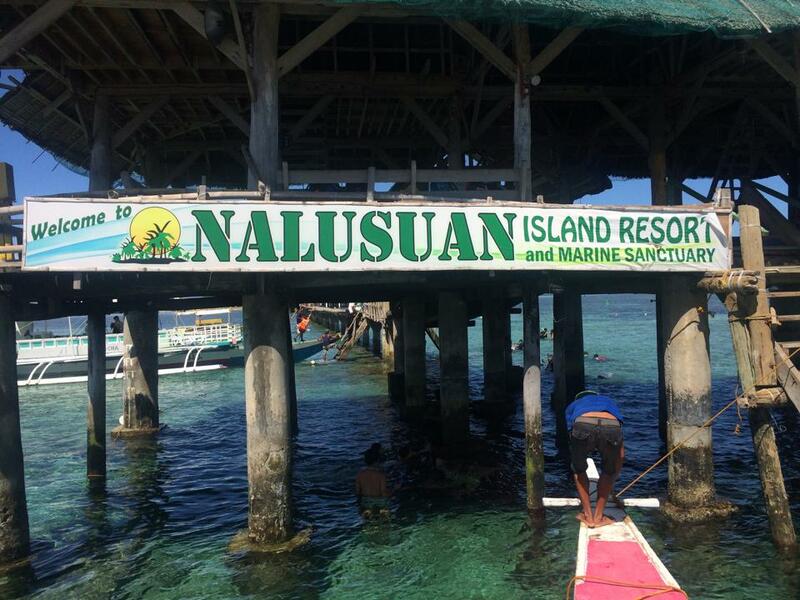 Hello, Nalusuan Island Resort! He's cute! Right? 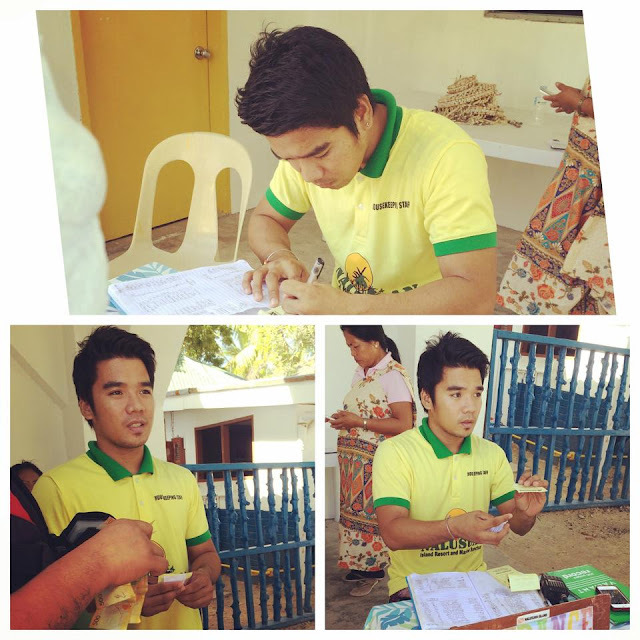 Mr. Nalusuan! Me, while getting some Vitamin "SEA". A little modeling (amateur) under the sun wouldn't hurt once in awhile. Agree? Tripping or visiting in Cebu is not complete if we don't get to taste Cebu's crispy lechon (roasted pig). So we had that for lunch by the sea in our bangka (motorboat) while we thought to drink healthy afterwards. 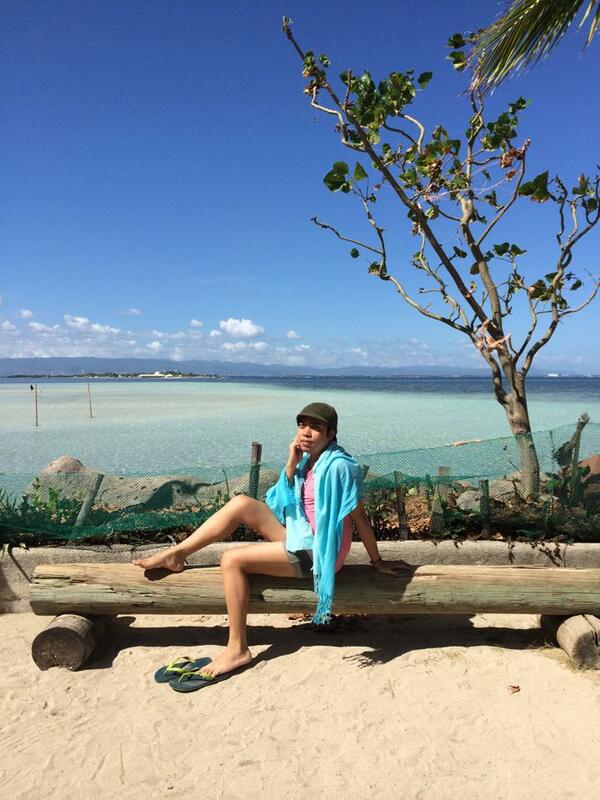 PUSO (hanging rice) by the sea! Thanks to JUICYFIED for being so thoughtful and had the group tried its very flavorful organic juice drinks! Healthy cheers to the picturesque blue sky above and ocean-blue water under. Detox? Cleansing? Juicing? Whatever it is. Just shut up! 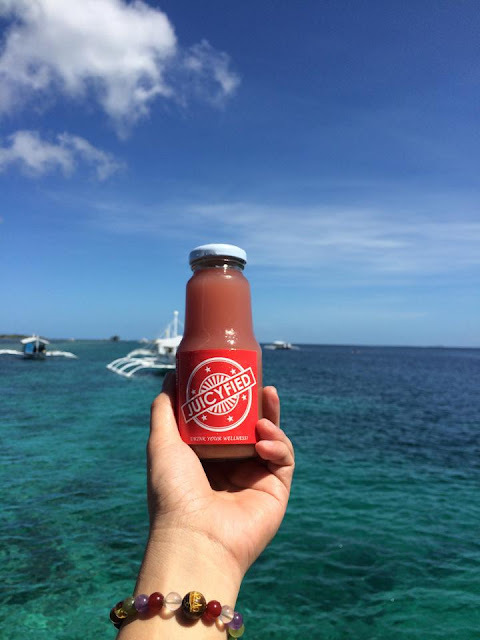 Drink and get JUICYFIED! We went to our hotel (BIG HOTEL) after the island escape adventure to freshen up and got dolled (dressed) up for a posh dinner rendezvous! 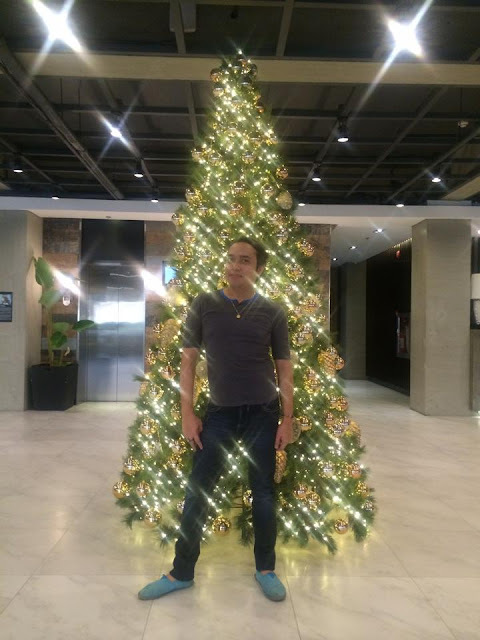 Shall I say, Merry X-mas to all of you from moi here at BIG HOTEL! At twilight, ANZANI is such a perfect host that set our palate to experience Mediterranean cuisine. I highly recommend that you book a reservation at the veranda area for a more cozy and romantic feel with your "sweet heart" or even family! I love their Tagliata (sliced steak) and Spinach Ravioli! 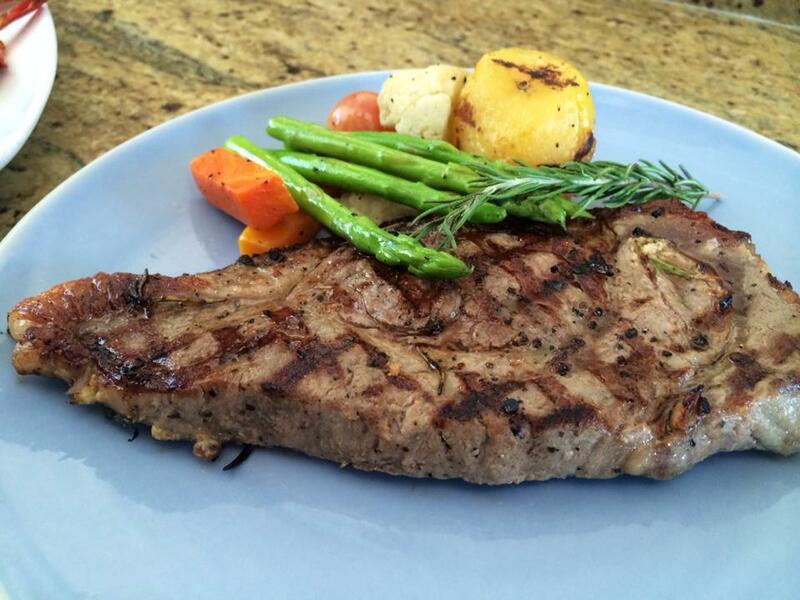 Order it when you visit ANZANI! If IPAR'S' the Opening Salvo, our last stop is indeed the Finale Fireworks of Cebu Food Crawl! And we had it at Pink Heaven! A very great host and we were so pleased with their customized carrot cupcakes for us! I'm so lucky to have tried this delectable gourmet haven. I missed their Beef Kalderata and Pink Heaven Ribs! It's not sinful at all! And for my thirst-quencher, I tried their Malunggay drink concoction. Pink Heaven is also a bakeshop. A home to divine pastries and desserts like their Mixed Bars, Sans Rival, etc. And they too have pasta varieties! Our customized cupcake topper courtesy of Pink Heaven! So thoughtful! There you go! Will be creating a separate blog post for each restaurants, cafes, bistros, clubs, etc. for a more detailed review. So watch out for it in the next weeks to come! Last May 1 to 4, 2015, I had my first experience of joining Davao Food Appreciation Tour 2015 or DFAT organized by a solid team of Davao Bloggers (long time friends too). It's one thing I can't forget as I travel places in this archipelago in the quest for good yummilicious edibles! Let me share with you my momentous journey all for the love of food. It's my 2nd time in the safest city of the Philippines and I'm still overwhelmed to be back again. And of course, meeting old and new bloggers from different parts of the Philippines is definitely an icing on the cake! Upon arrival in the airport of Davao with my co-bloggers in Cebu (Sinjin of the libotero.com and Ethelbert of nindotkaayo.com), we headed for some sweet pastries and other yummy snacks at Mam Bebs. Here are some snapshots I took to satiate my hungry tummy. Let me tell you in advance, their mango squares and potato rolls (both secret recipes of the Abellas) left me in awe! Very divine in taste and subtle to my palate. I hope they ship some boxes of it to Cebu! I definitely had desserts before the gang heads for a gastronomic dinner buffet at Vikings (SM Lanang, Davao), but that doesn't mean I shouldn't be on beast-mode to feast! We arrived early at the luxury buffet but when the clock hits 6 pm, all plates are up and the food exploration has begun. Hopping from one corner to another to partake in what I call, a banquet! Me and two fellow Cebu bloggers booked our short stay at Microtel. By the time we woke up, we are already set for the 2nd leg of our food tour. 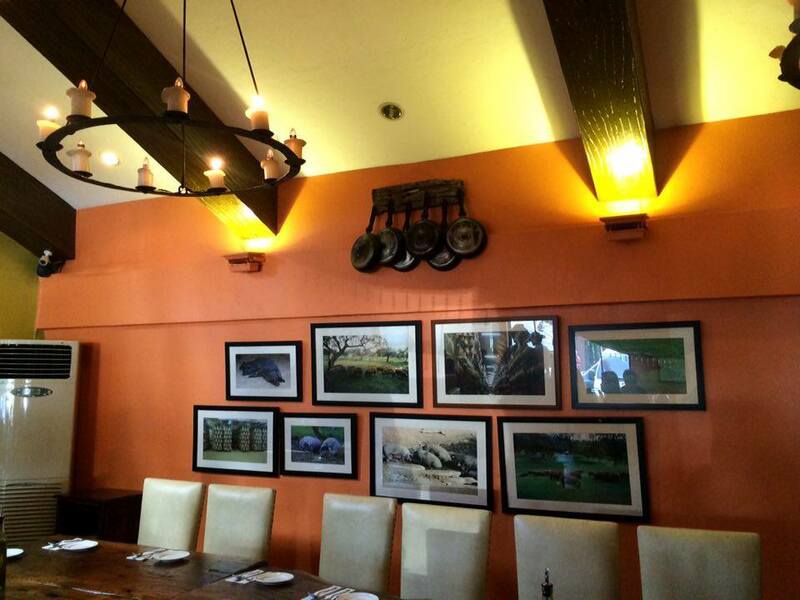 Brunch at Polo Bistro at Marco Polo Davao is considered a bull's eye! I managed to have so much room for all their delicious menu served before my eyes. I couldn't thank God more enough for the bountiful grace He showered me on that day. 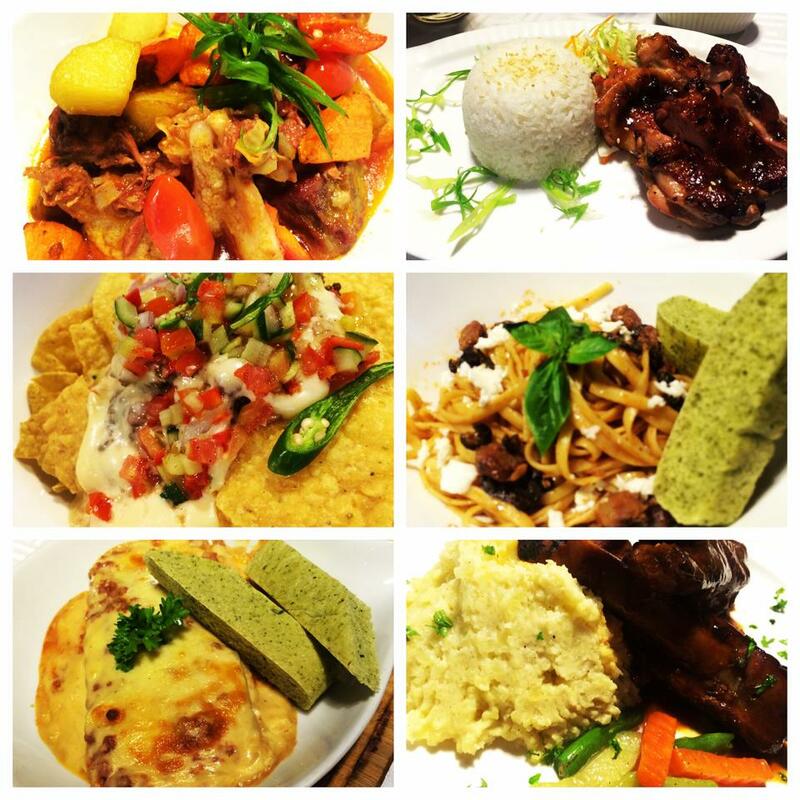 The best tasting dishes of Polo Bistro at Marco Polo Davao is not just a sniff away, it's a bite away for me! You know how it ends, full tummy! Before the bright sun could set, we explored the picturesque city of Davao, trying their zipline and visiting the Crocodile Park. A good "getaway" (where you don't actually go that far away) within the city, just to breathe fresh air or be with nature. More photos when I visited these places below. Now, with a lot of verified testimonials from the locals and tourists who visited this famous place in Davao, I'm too is excited for dinner! 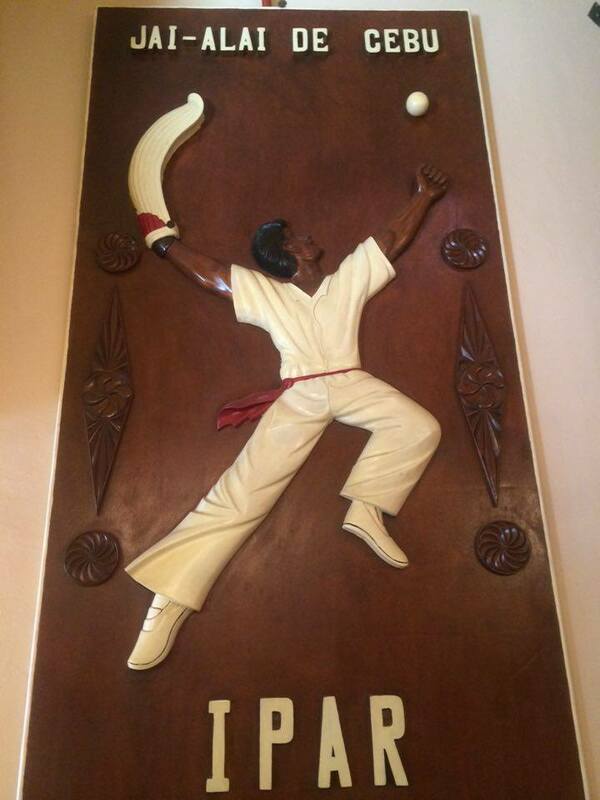 And yes, I finally set foot on the notorious Lachi's for a hearty meal! And personally, I can attest all what they say about the food haven. This is one of my checklist when I get to visit Davao again. All sweet treats for the Sweets are incredibly divine. It's like you've visited Heaven not just in your dream but in sync with reality. So salivate on these captured delights! The best way to end a very sumptuous dinner is a good doze of alcohol at The Brewery Obrero. 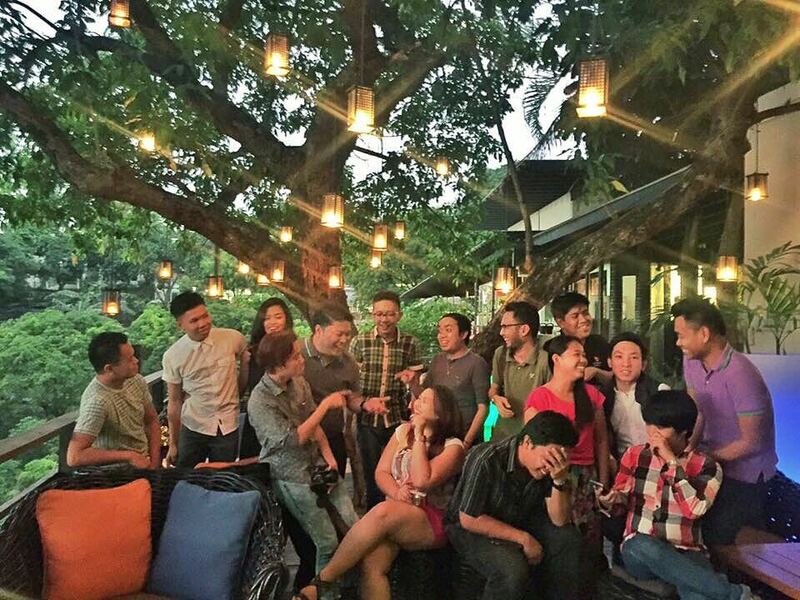 It's the Bloggers' Night Out and we all got free beer courtesy of San Miguel Brewery. And let me share you this little secret, the owner of The Brewery Obrero is a pretty, good-looking man! My nerve endings are definitely tingling just staring at those pieces of biceps. I guess, I'm drunk! With only 3 hours of sleep from last night's trip loaded with high alcohol, good laughs and secret discoveries worth to be kept, our next target is hugging the pristine waters of Costa Marina beach in the serene Samal island. 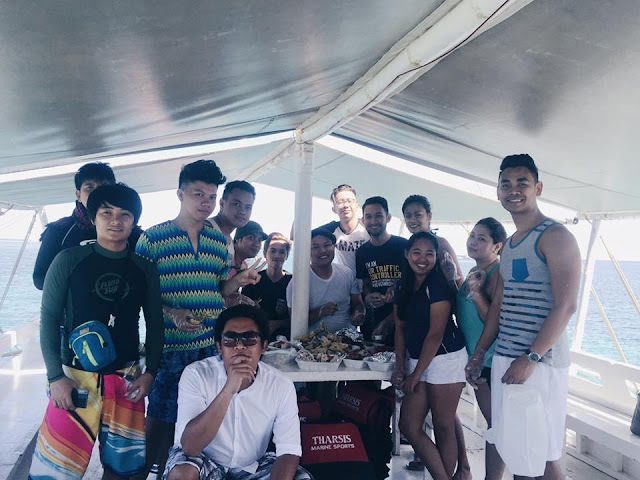 We opted for a swim to celebrate Summer in Davao and the beach didn't disappoint us. Look at these smiles (below). One of my fave place with good finds of delicious food and beautiful interiors is no other than Alor's: A Home Kitchen! 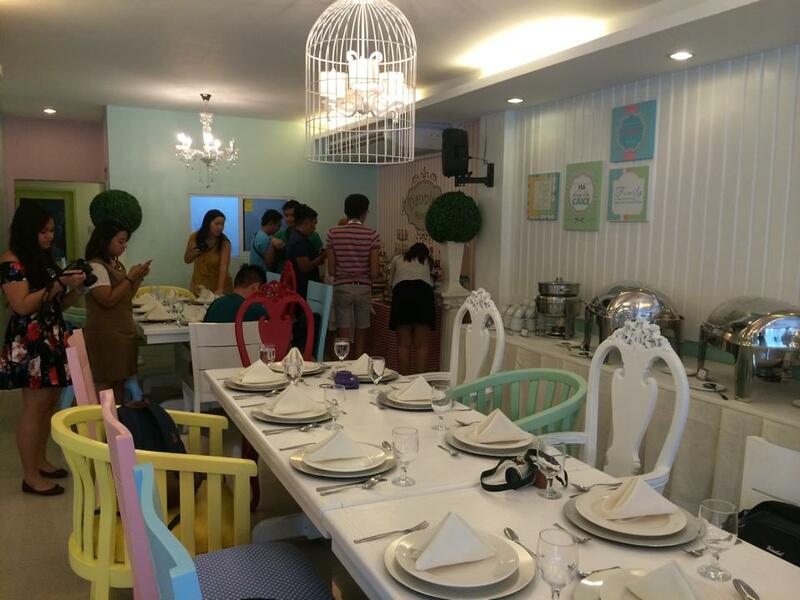 I just love everything in it with all those captivating pastel wall colors, catchy frame arts, artsy and stylish tables and chairs, and of course, the food they served is yummy beyond compare! Before we head up for dinner, we had a good time to chill at Yellow Hauz where we had both silent group detachment (we need a "me" time for updating our social media accounts) and outrageous fun-filled spur of the moment together. Can't forget our "dugtongan" game with the bloggers. Late dinner is at Basti's Brew. Food with big serving is enough to fill our pining tummies! 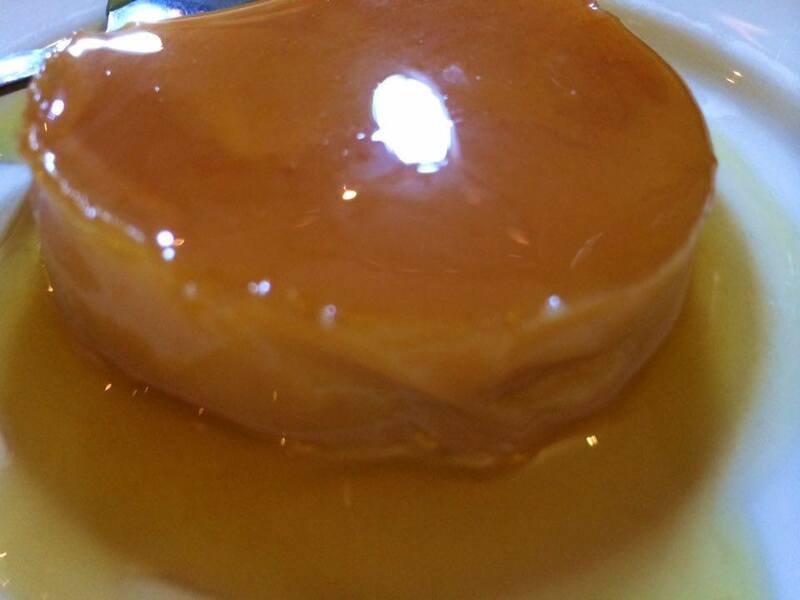 And another great time to end the day is eating halo2x at Aling Foping's in Matina. 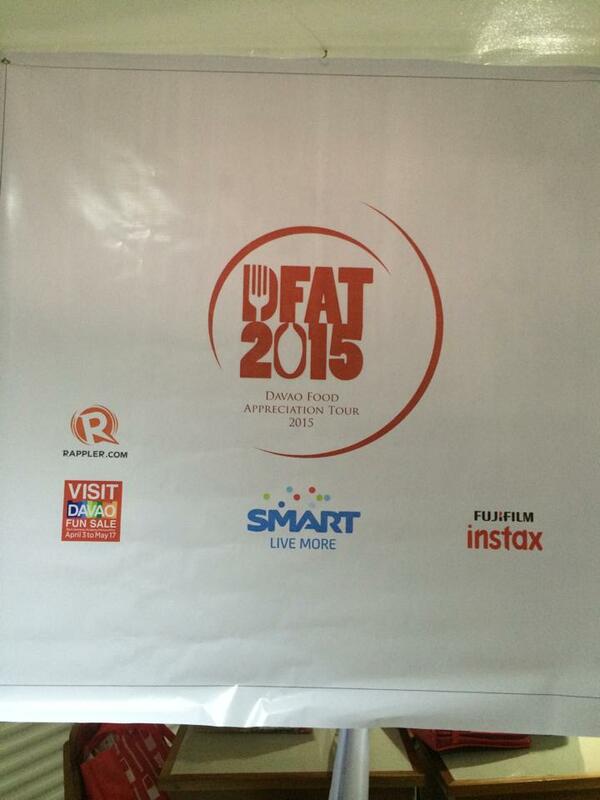 It is our last day of the DFAT 2015! I know everyone will be very emotional as we will have to separate ways! But let me talk about food first! Brunch is at Annipie! I love their cinnamon rolls! Their cakes are adorable. And their food specialties are worth a repeat next time! 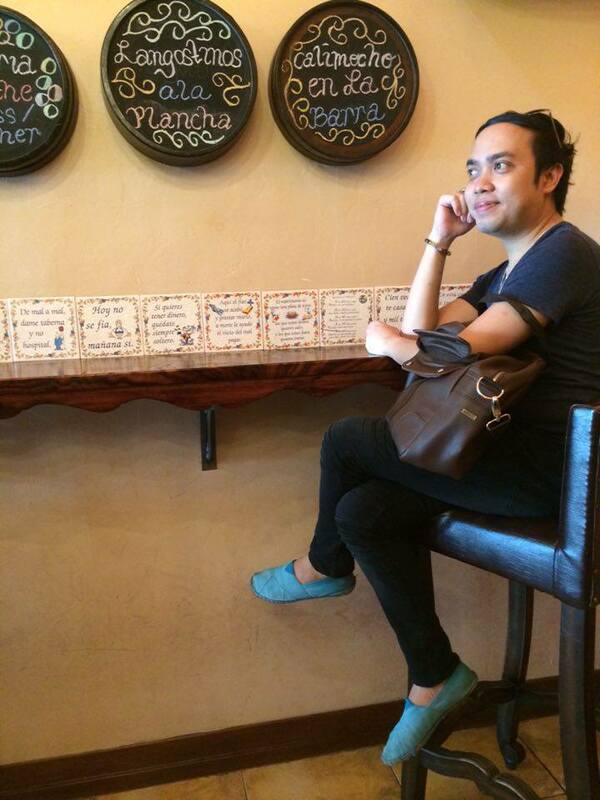 Last stop before we get back to Cebu is a visit to Margies Bakeshop. 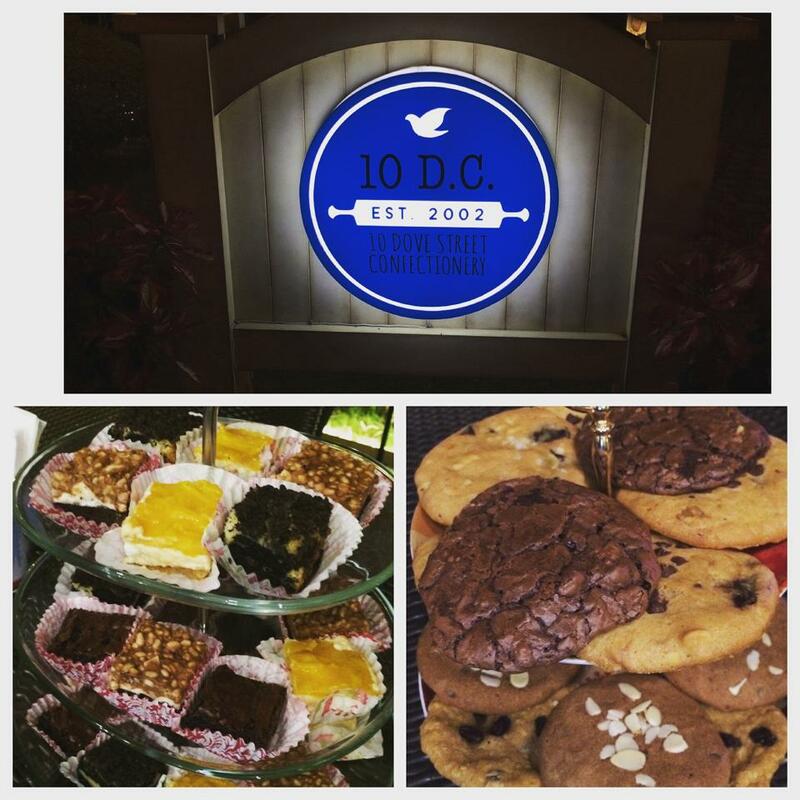 I instantly liked their thin crispy brownies! And the team also lavished on their desserts and hearty shakes. Their pork ribs is to die for!